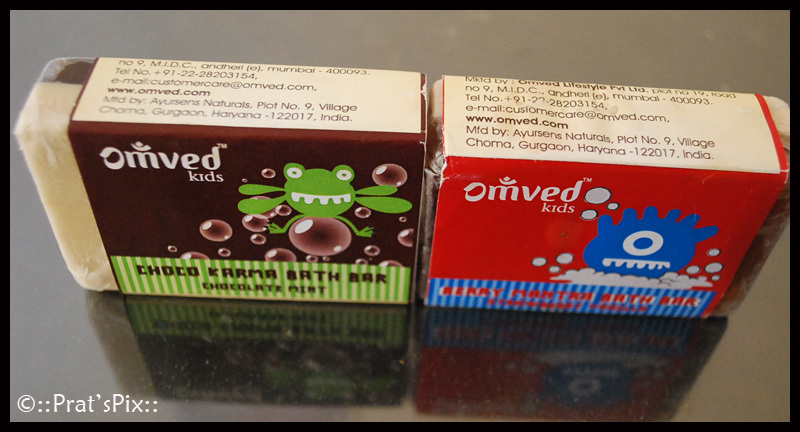 I’m quite hooked on to the products by Omved, this time I did not buy anything for myself, but I bought two soaps for my boys. The Choco Karma Bath Bar and the Berry Mantra Bath Bar. These are just simply superb. I used the Berry Mantra Bath Bar that quite transported me back to my kiddie days ( which is a nice 3 and a half decades ago). The fragrance of the soap reminded me of this brown toffee that I used to have as a kid. I think it was Parry’s, the one with a green wrapper or Lacto Bon Bon. The boys smelt ultra delicious and I almost wanted to chomp them up. Priced at INR 220, it is a tad expensive for a soap for kids. Would I buy this again: Yes, I like the fragrance of the soap and the fact that it is gentle on their skin is quite a plus point. Contains : saponified vegetable oils, glycerine, castor oil, essential oils and extracts of strawberry and vanilla. NO parabens, triclosan, sulfates, artificial fragrance or colours, glycols or animal products. ONLY pure therapeutic-grade essential oils and natural oils. This was a bit too chocolaty and minty for a soap. I found the fragrance to be a bit too much. This is also priced at INR 220. The soaps by Omved are 100% pure and natural, cold processed, handmade bath bars. The only downside of this soap is that it lasts for less than a fortnight, well for me it does because I have twins, so technically it would last a month if you are bathing a single child. Would I buy this again: Umm, no. I preferred the Berry Mantra Bar. But this soap is equally good for the skin. Contains : saponified vegetable oils, glycerine, castor oil, essential oils and extracts of mint and chocolate.